White Wave Press, 9780997909852, 38pp. 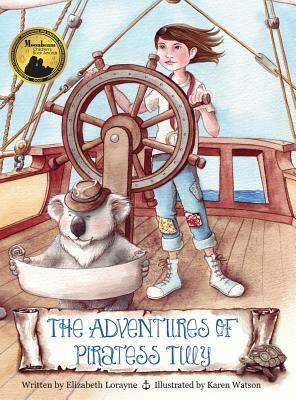 Written in the poetic form of haiku, you are invited to come adventuring with Piratess Tilly, her rescued best friend, a koala named Yuki, and her band of international orphaned brothers in this award-winning picture book. As budding naturalists, they are all too eager for their expedition to the Galapagos Islands While documenting flora and fauna, they spot baby giant tortoises being kidnapped...by pirates How do Tilly, Yuki and the brothers save the tortoises?